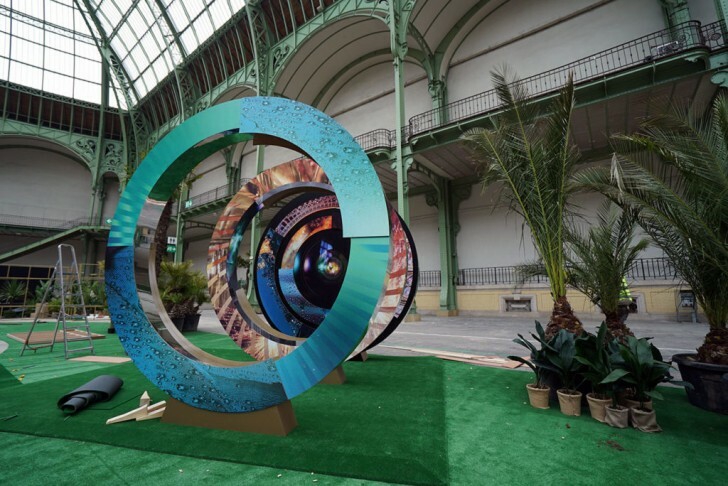 We are just a day away from the Huawei P20 and P20 Pro launch event in Paris, France. But the overwhelming leaks throughout the past weeks have left little to imagination. And now we have even more of those. First, you can see the Huawei P20 venue being prepared for the event. 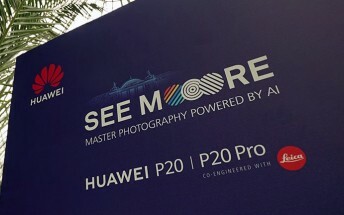 The colored MOOORE logo hints about the new triple camera and the abundance of camera testing setups suggests Huawei really is confident that it will deliver a top notch shooter. 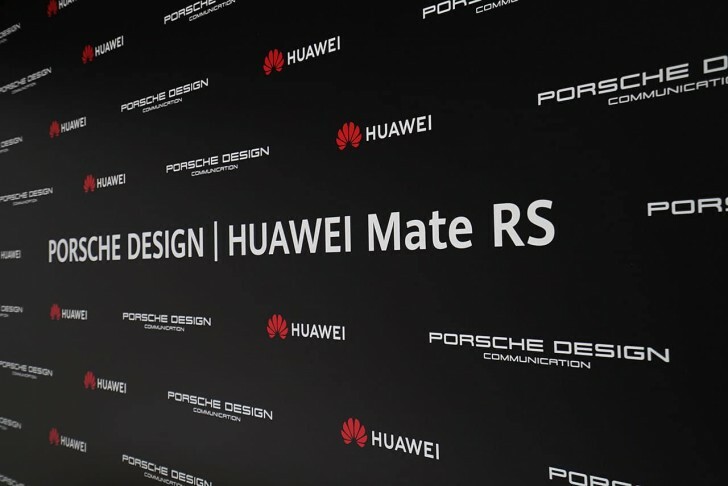 One particular promo wall catches the attention with the Porsche Design Huawei Mate RS. This means the Porsche edition won't be part of the P20 or P20 Pro family as we initially thought, but instead will be a completely different device. 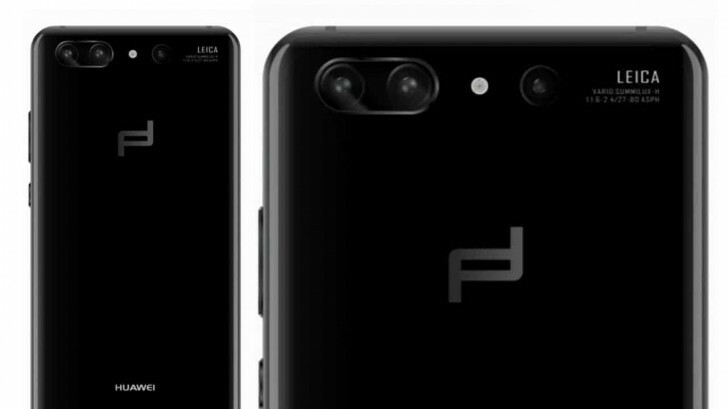 As a new leak suggests, the Mate RS should be using the new Leica Triple Camera with 40MP+8MP RGB sensors and 20MP monochrome one, which is what the P20 Pro is expected to pack. Perhaps, this being a Mate device, it will have a larger screen, though. Finally, leaked promo gifs reveal all five top features of the new P20 camera. Slow-mo recording at 480fps or 960fps is expected to premiere with the P20 series. Quick Capture is another highlighted feature for shooting fast-moving objects blur-free. The Portrait shots are advertised next, as they now get similar studio-lighting effects to the iPhone 8 Plus and X's. Intelligent Lightning will be using all three cameras for professional-grade depth of field and lightning effects. Finally, the 3x optical and 5x hybrid zoom, which is quite self-explanatory. Earlier today a German retailer revealed the full-specs of the P20 and P20 Pro. We've already seen renders of the new flagships, so it's pretty safe to say we know what to expect. The official announcement is just hours away and we'll be there to cover the whole thing. Here is hoping the Porsche Design Mate RS brings us some surprises.